Film & video production vehicle like the one that Tim Wilson from Cyberstorm Digital is building might just be the perfect filmmaking tool. I had a chance to meet up with Tim Wilson, Chris Downing and Derek Allen to talk about their new mobile command center. 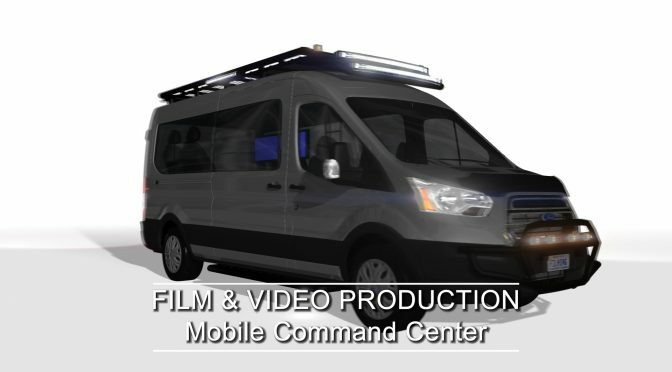 This is a custom built vehicle that can be used as a mobile video editing suite. Also it holds gear like a grip truck. Another great use for this vehicle is a multi camera, live to tape or live streaming base. In the final version Tim will be adding a few other things such as a roof rack that can be used as a camera platform. This is still a work in progress, so make sure to check back on Tim’s website for any updates.